Honour roll carved 1922, All Saints Church, Hobart . Who was Nellie Payne? 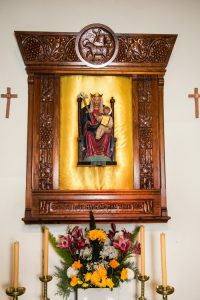 The panel with the names carved onto it has been removed from the original frame and is now displayed elsewhere in the church. 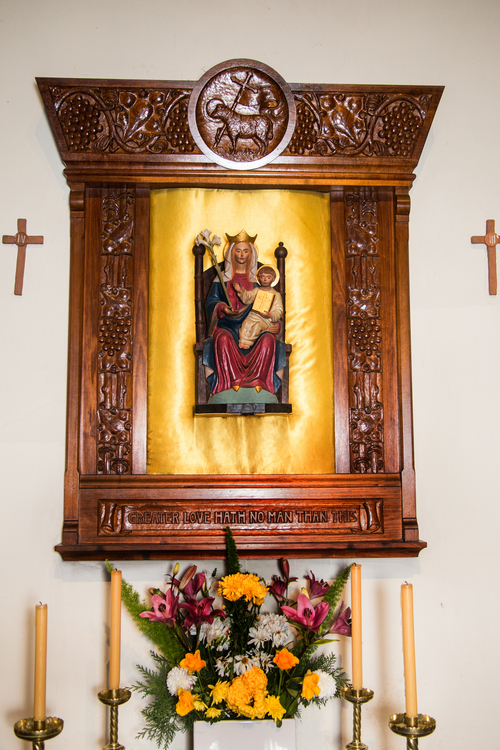 The ornate frame now houses a religious icon. “WAR MEMORIAL UNVEILED. CEREMONY AT ALL SAINTS’ CHURCH. A large congregation assembled at All Saints’ Church last night in view of the unveiling of the memorial to church members fallen in the war. The service was conducted by Archdeacon Whitington, who was assisted by the rector of the parish, Rev T K Pitt, M A. 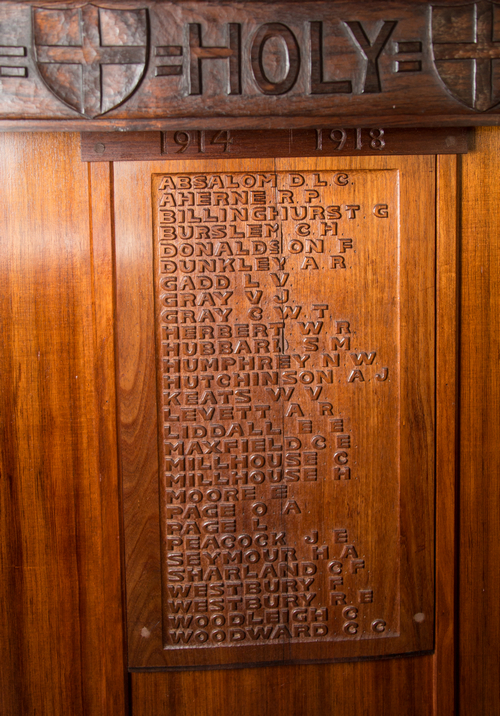 The memorial which has been placed in the side chapel is the gift of an anonymous donor. 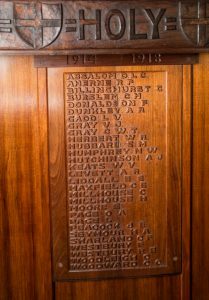 Fashioned of Blackwood and finely carved by Mrs Dr Payne, it contains the names of twenty nine soldiers about which entwine symbolically fruit bearing branches of the vine the whole being dominated by a representation of the sacrificial Agnus Dei. The service par took largely of a tribute to the memory of those whose service was commemorated, hymns and prayers being coordinated to that end.